August 3, 2018Comments are closed. I grew up in Texas eating so much watermelon. We had this amazing fruit stand, and the workers would cut kids slices of watermelon while our parents shopped. It was off I-10 in Houston on the way west end – someone in Houston DM me and tell me that its still there please!! My grand dad would walk around thumping watermelons and we would laugh at him. He would then select the watermelon with the best thump, take it home and either put on ice or clear a spot in our refrigerator. Then after dinner, he would take it out of the fridge and slice us huge triangles of beautiful red watermelon. My grandparents weirdly ate theirs with a sprinkle of salt on it. I thought it was so weird. I totally get it now. That savory hint of salt brings the sweetness of watermelon to another level. This watermelon recipe, is totally based off my weird grandparents. You will love it. A huge handful of Basil. 1/2 a cup of feta cheese. Toss it and enjoy it with a glass of sweet tea! The entire watermelon is edible: flesh, juice AND rind. Use the whole watermelon! 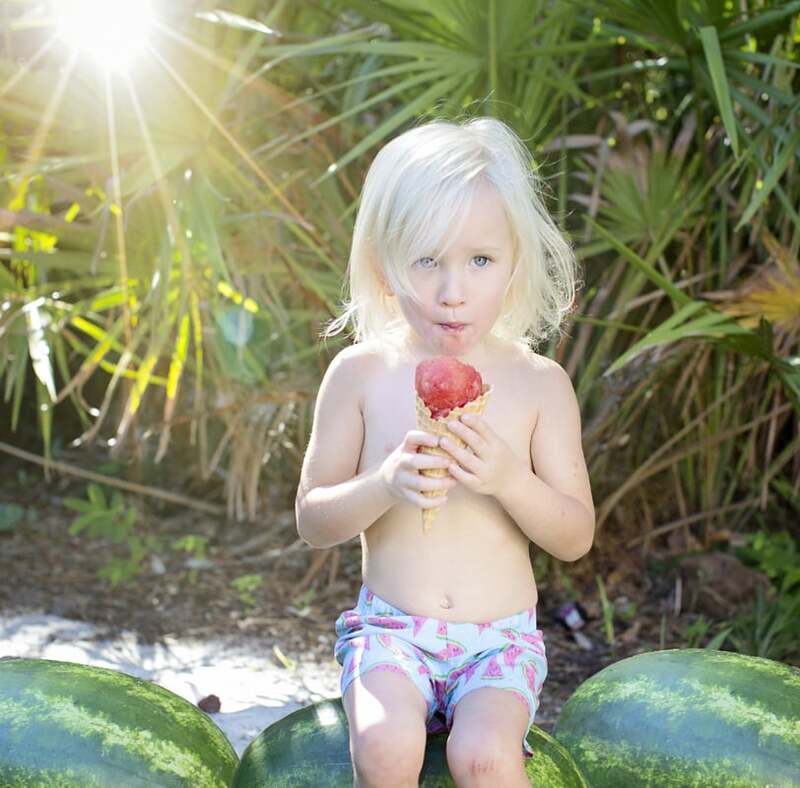 We scoop it out and put it in ice cream cones, it’s such a mess free watermelon #momhack! Watermelon is healthy! Some of the health benefits of watermelon! Watermelon keeps you hydrated, it’s like 92% water! It’s so refreshing on hot days! It’s low in calories, perfect for those beach days! only 46 calories per cup! Watermelon is full of nutrients! Vitamin A, Bs, C, potassium, lycopene and magnesium! Citrulline, an amino acid in watermelon, may reduce muscle soreness. Love watermelon as much as I do? Do you have a fun take on a watermelon recipe? 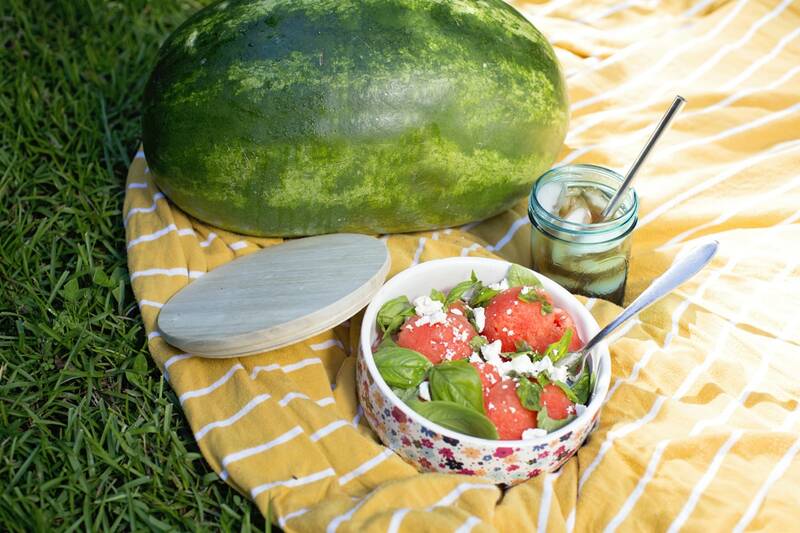 Make sure to enter your original watermelon recipe into Watermelon Board’s recipe contest HERE! 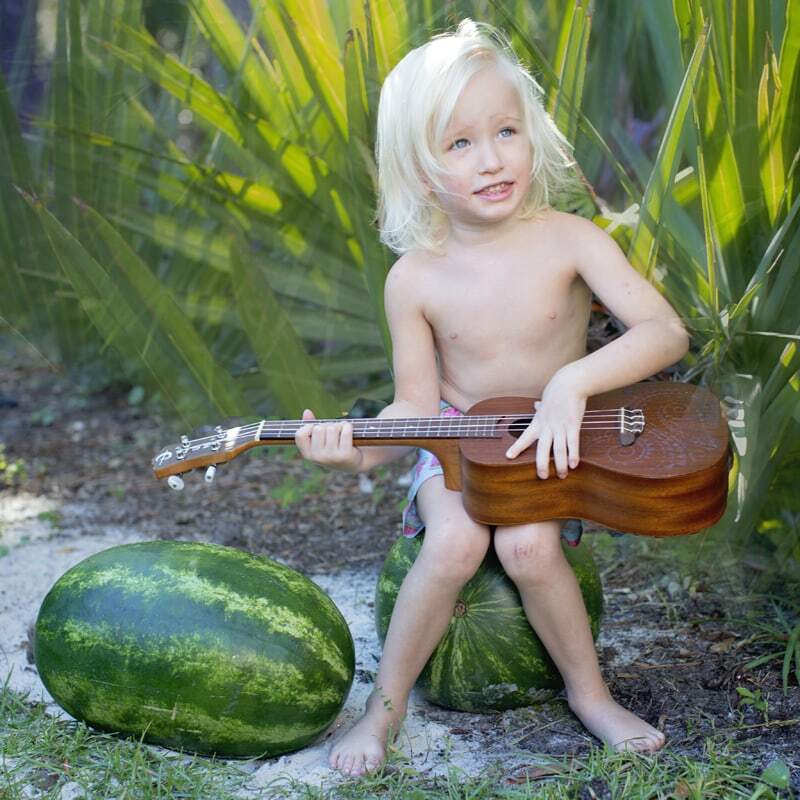 Learn more about the Watermelon Board HERE!